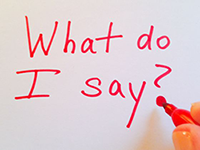 Tired of racking your brain to create some ideas for a strong college application essay? 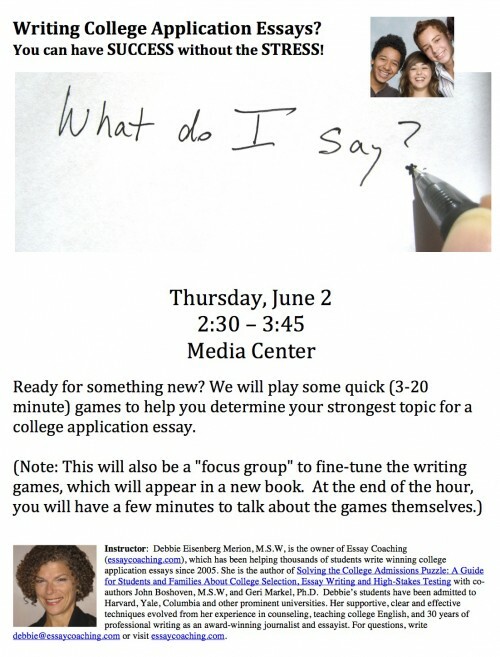 At a workshop held on Thursday, June 2, 2016, students at Community High School in Ann Arbor tested out some new methods for writing a college application essay. Something unusual happened. There were SMILES! How did this happen? Students learned a technique designed to sharpen their idea and draw out the details in their college application essays. The technique involved listening to a partner’s idea, then asking questions about what you were confused or curious about. Of course, without examples, it is difficult to see how these wise words from the students themselves apply to your essay idea. It’s much easier to EXPERIENCE writing than it is to teach it in a blog. Interested in attending a free workshop where you can experience how to smile AND write your college application essay? Write debbie@essaycoaching.com.